Traditional Tibetan Paper was invented in the middle of the 7th century which is now a unique cultural item of Tibet. Traditional Tibetan paper was invented in the middle of the 7th century which is now a unique cultural item of Tibet. 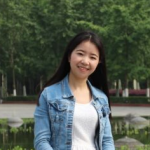 When the princess Wencheng came to marry the king of the Tubo Kingdom, she brought the papermaking technology. 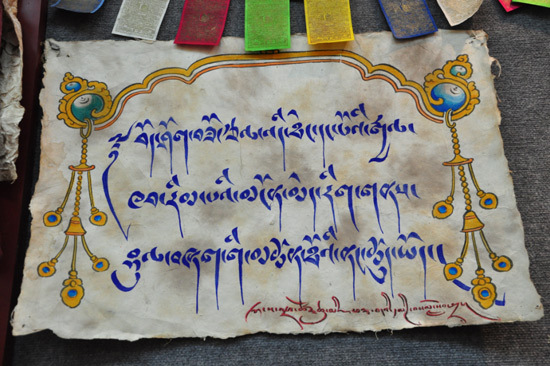 And after years of research, Tibetan people and Han people finally created this unique paper with special materials. For hundreds of years, the paper had recorded the historical change of Tibet. Even for today, other papers has replaced its function, this Tibetan paper still has broad market and strong potential as an ethnic handicraft. Now we can see many Tibetan paper handicrafts on the street such as umbrellas, calendars, murals etc. 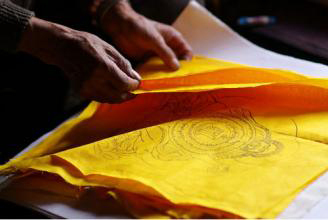 The superb paper art technology and the long history of the paper created a unique Tibetan paper culture, which is necessary for human beings to keep this important intangible cultural heritage under protection. Therefore, some travelers who love Tibet so much and interests about the Tibetan culture. They would like to take a close look at the Traditional Tibetan paper.